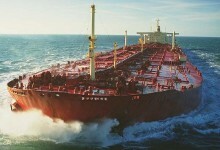 A number of international liability regimes require ships to carry certificates attesting that insurance is in place to cover liability for pollution or wreck removal. These are issued by their flag state authorities when satisfied that adequate cover is in force with an approved insurer. Normally these authorities are provided with evidence of insurance in the form of a so-called ‘Blue Card’ – the name given to a certificate from the insurer to confirm that cover is in force as required by the relevant compensation regime. The reference to ‘Blue Cards’ goes back to the 1960s and is of uncertain origin, as the insurer’s certificate is neither blue nor provided on card.